This is going to be a little different to my usual Blog posts.. :) After Candice and Dan’s E-Session I sent them out 6 questions to answer separately in the hope that it will benefit future Brides & Grooms! I hope you enjoy the “He says” “She says”. I think you’ll find they have answered very similarly, a true sign of a long, loving relationship! 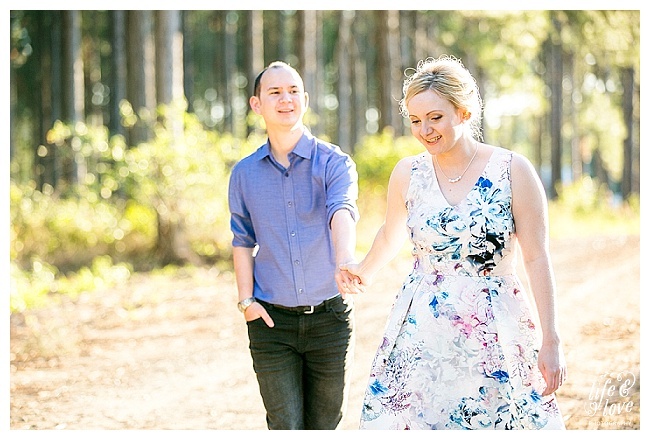 I met Candice and Dan just over a year ago at The Sunshine Coast Bridal Showcase and we hit it off immediately!! 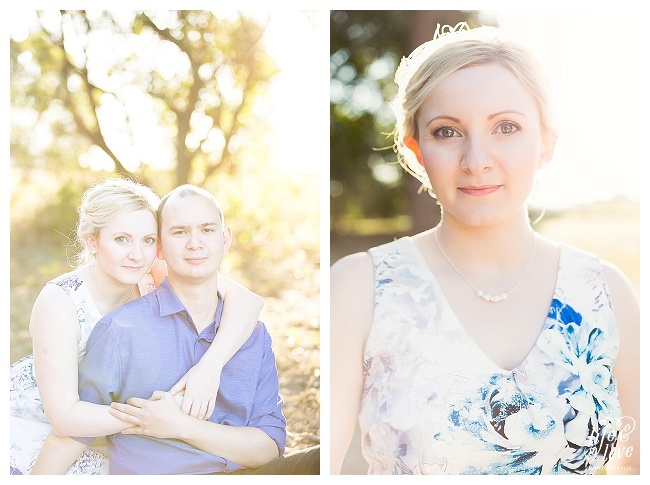 I was honoured and excited when they asked me to be their Wedding photographer.. 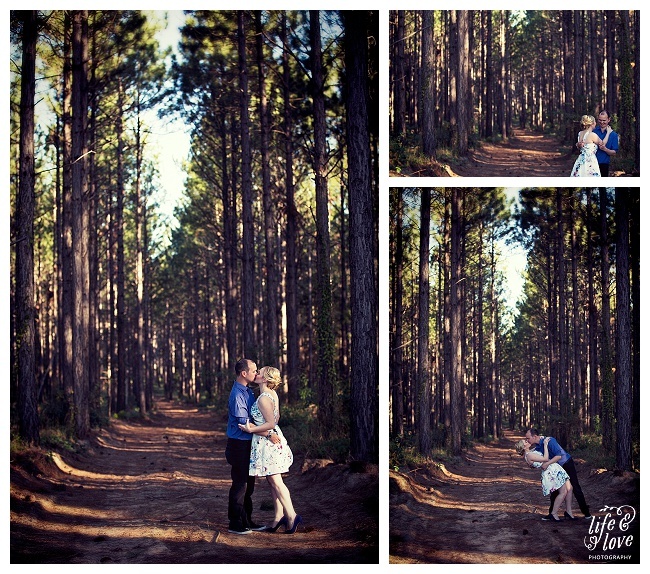 They are getting married this October at The Pelican Waters Golf Club so we caught up for their amazing Engagement session in the woods! Candice had her hair and makeup trial on the same day by Miss Nessi, and even though it’s winter here on the Coast, Candice wore a cute summer dress and electric blue heels! As you will see in the following questionnaire.. it is well worth getting dressed up for! How they met.. Well they are High school sweethearts! 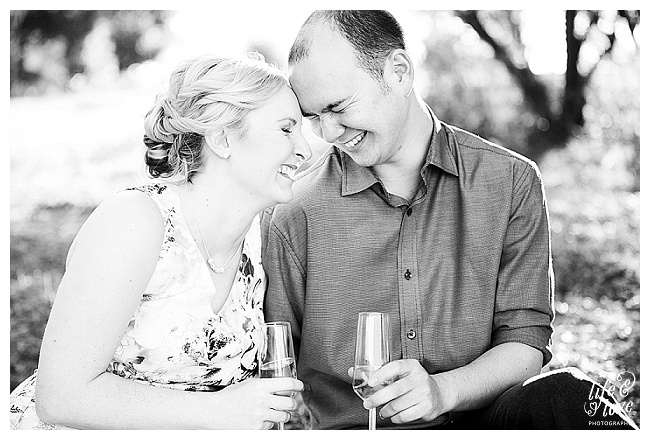 Believe it or not, they met at work and soon realised they were in the same class together! That was when they were sweet 16! 1. How would you describe your experience with LLP? He says ~ Fun. I have never been part of a photo shoot before so Lee was able to give great direction while keeping the atmosphere light, fun & relaxed. It has made for some great sneak peek photos. She says ~ In a word, AMAZING! I already had extremely high expectations of Lee after reading her (many) incredible reviews but I was blown away with the professionalism & warmth we received from the moment we met up for our engagement session. I honestly don’t think I have ever had so much fun in my life, nor have I laughed so hard. I truly cannot speak highly enough of the professionalism shown from Lee. 2. 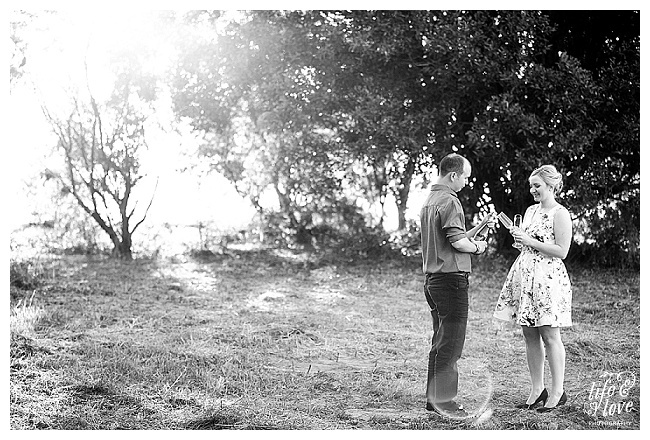 Did you have any reservations before your engagement session? ~ If so, how did you feel afterwards? He says ~ I did. I’d never done a photoshoot before and wasn’t sure at all of what to expect so I was definitely nervous. After spending a short time with Lee, it was more like spending an afternoon with a friend. I came away feeling confident in myself & my photographer. She says ~ Absolutely I did! I was actually having nightmares in the weeks leading up to the day, but I think most of this stemmed from not knowing what to expect. I shouldn’t have worried at all though. Lee made the entire experience comfortable, fun & light hearted (I actually didn’t realise you could have fun at a photo shoot). After a while it didn’t really feel like someone was taking photos, but more like I was chatting with a friend in a beautiful location. 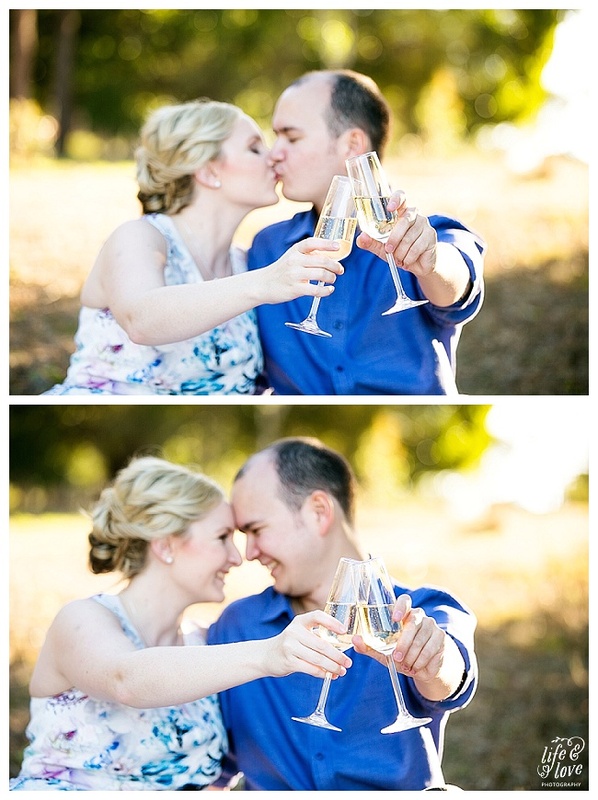 I personally left feeling exhilarated, ready for the next photo shoot & incredibly excited for our wedding day. Lee really does goes out of her way to make sure you have an incredible experience. PINIMAGE PINIMAGE PINIMAGE3. What was the highlight for you from your session? He says ~ Trying something new & laughing through five attempts of clicking my feet together in the air (or trying to at least). 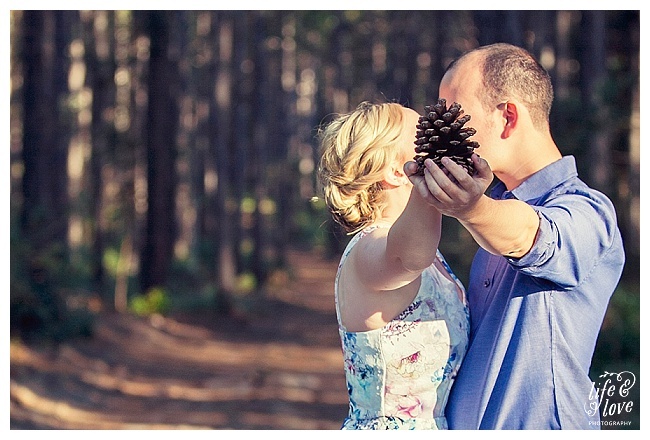 She says ~ I have so many moments I love from the day that I will never forget but watching Lee’s inspiration unfold in front of my eyes was truly magical… I found a beautiful pinecone while we were walking to our first location & Lee chose to incorporate it into some of our photos. I also cannot stress enough how much fun it is being dressed up & wearing heels walking through long grass & over fallen branches. PINIMAGE PINIMAGE4. 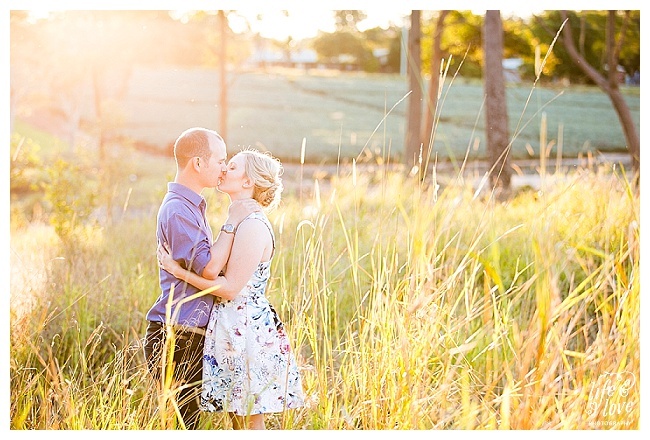 Do you think having the engagement session will benefit you for your wedding day photography? 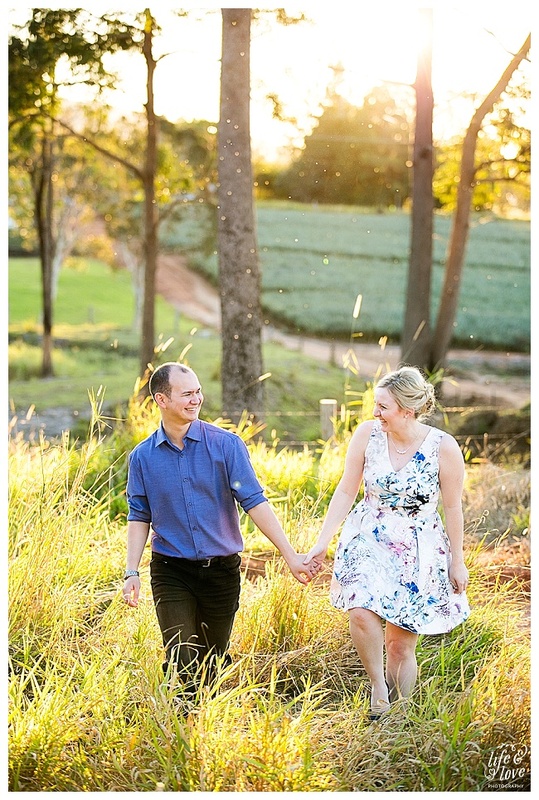 He says ~ Having a engagement shoot was the perfect way for us to get to know Lee in a casual environment. I know it will make us more at ease on our wedding day and I think this will show through our photos. She says ~ Definitely! I am no longer nervous to have a camera following us around for most of the day, I’m actually looking forward to it! 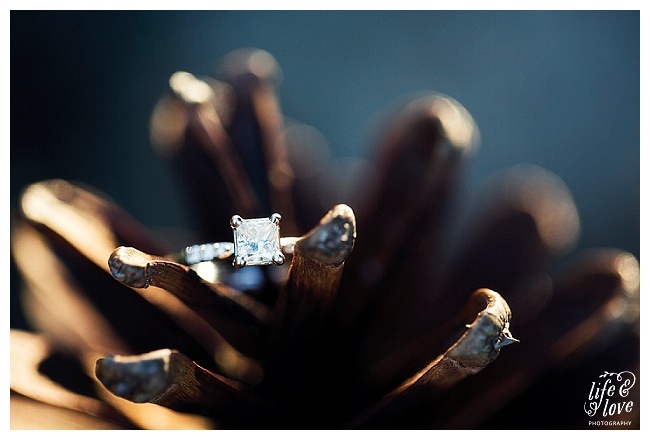 Having an engagement session has taken one less stress away from our wedding day & has made me think more creatively about the images that I would like captured on our big day. PINIMAGE PINIMAGE PINIMAGE5. 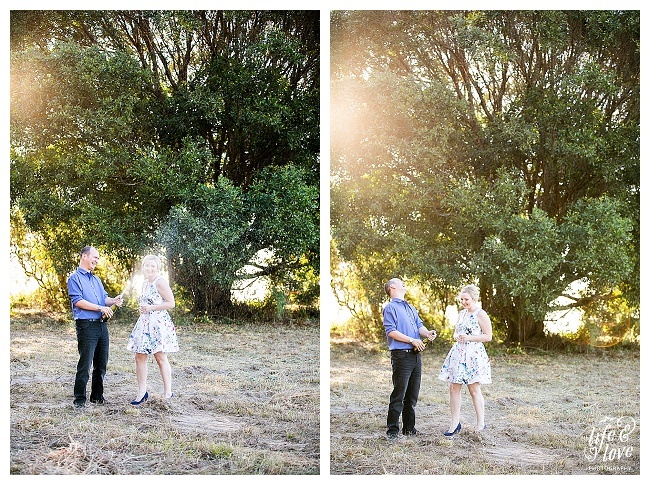 Do you have any recommendations for other couples that are soon having their engagement session? He says ~ Dress up to make the most of an amazing photo shoot with Lee! Your photos will be spectacular and I think you should look equally amazing! She says ~ You are going to get SPECTACULAR photos from your session with Lee & you will also come away with an amazing memory of your experience so I would recommend making a day out of it & make it special! Go out & buy a new outfit for the both of you & get dolled up. Take props with you! Do you like drinking wine together? Bring a bottle! Most importantly though, relax & have fun! Pose in the long grass & stand in a field of pineapples! PINIMAGE PINIMAGE6. Is there anything else you would like to add/recommend? 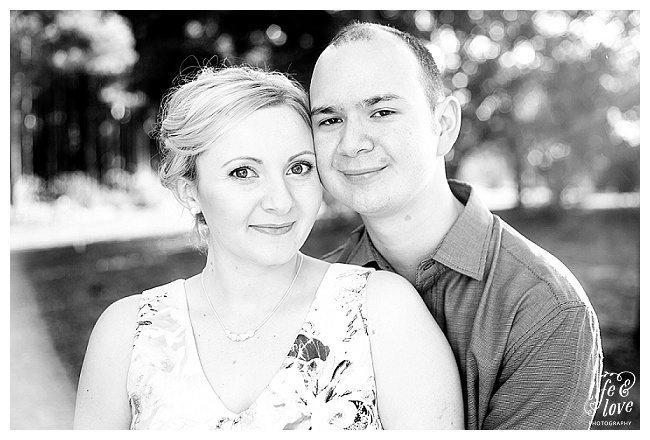 He says ~ I highly recommend choosing Lee for your engagement session. After about 5 minutes you will have no doubt that you have found the right person to be with you on your wedding day to capture & help create all your special moments. 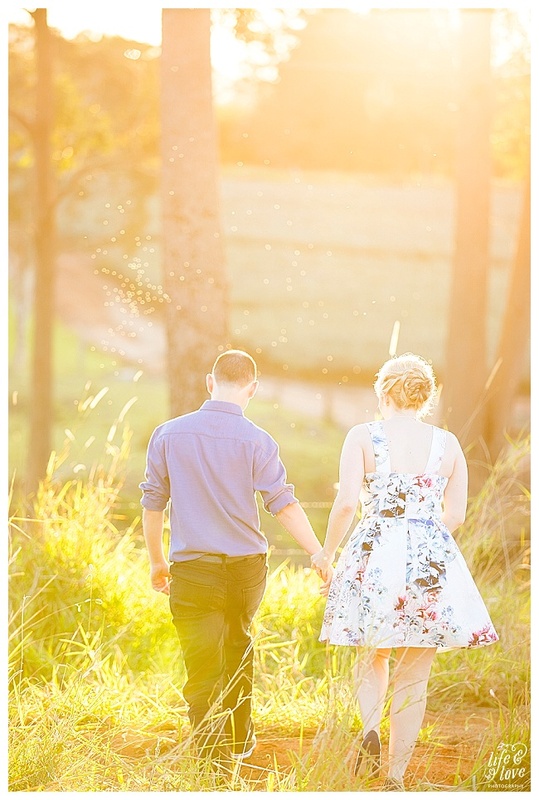 She says ~ I recommend every couple have an engagement session before their wedding day. You will become comfortable with being photographed & more importantly you will become comfortable with your photographer. 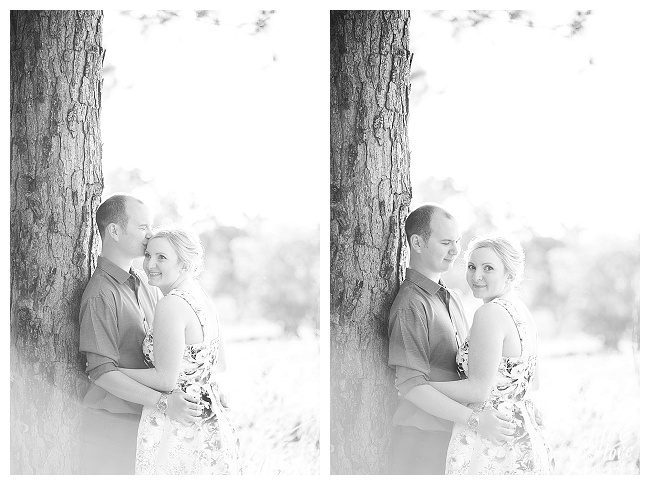 I seriously cannot recommend highly enough Lee from Life & Love Photography. This gal knows what she is doing from beginning to end! 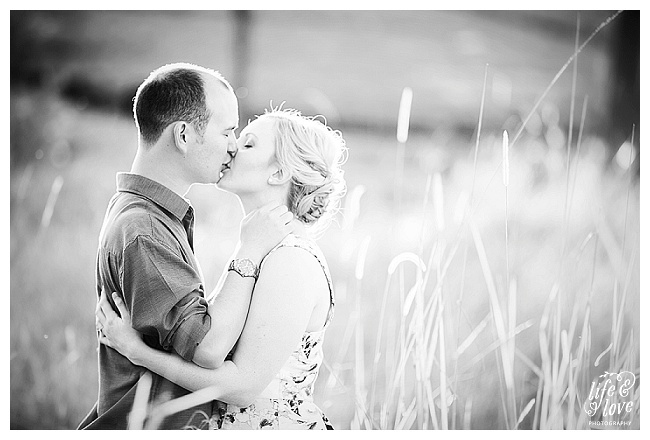 I have no doubt whatsoever that we have chosen the very best photographer for our wedding day. I hope you, as the reader, have been able to gain something from what Candice and Dan have shared with us! Have a great day!